It was over three months ago now (my blogging break lasted longer than I expected!) that I visited this fabulous tea room in Stratford Upon Avon. My lovely Dad took me for afternoon tea as I was feeling a little bit sorry for myself. We had been for afternoon tea in Stratford Upon Avon a few times previously – we had been to The Grosvenor Hotel but fancied a change this time. I’d heard about afternoon tea at The Fourteas on Tripadvisor and when I mentioned it to my Dad, we decided to pay a visit! 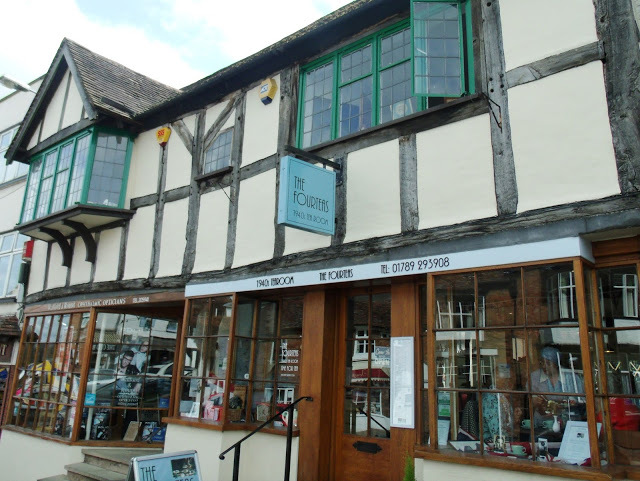 It is located in the centre of the town on Sheep Street, in a white washed Tudor style building with black wooden beams. We hadn’t booked our table and I was concerned we may not get a space as it was so busy, but we were lucky to be quickly given a seat. 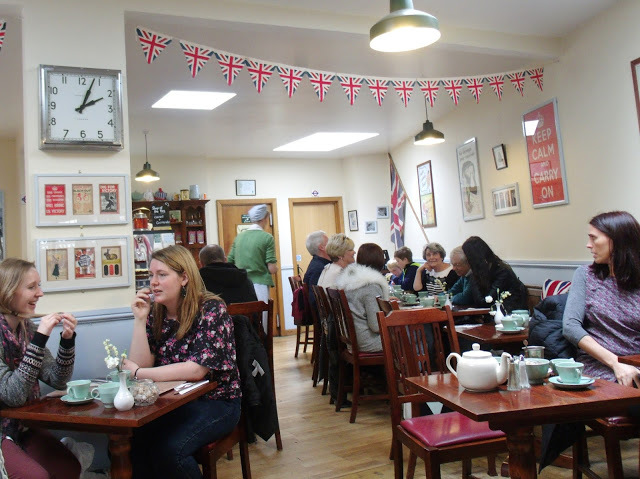 The tea room is 40’s/wartime themed which, although not necessarily my style, was quite sweet. It’s not decorated OTT and has a slightly village hall feel to it, with plain walls and fairly basic decor, with quirky retro touches. 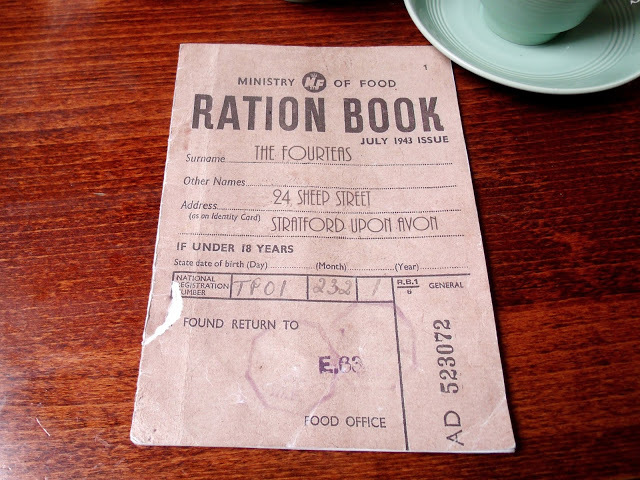 My favourite feature is the menus, which are made to look like ration books and really do look genuine! Even the waitresses are dressed in 40’s style uniforms, and traditional music was playing in the background. 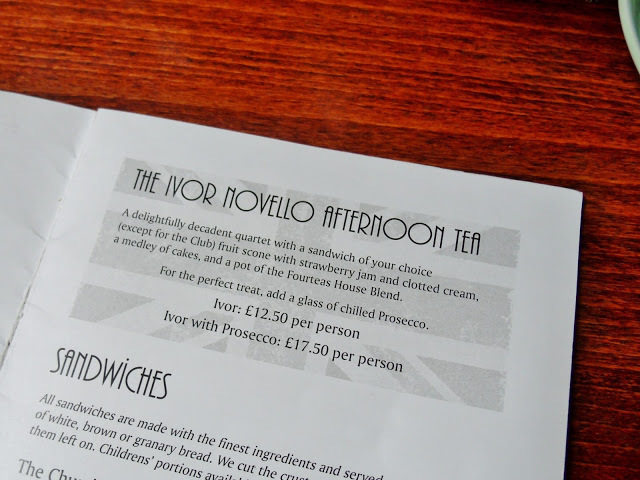 We shared the Ivor Novello Afternoon Tea between the two of us, which included a sandwich each, a fruit scone with strawberry jam and clotted cream, a selection of cakes, and a pot of tea. The afternoon tea is only £12.50 per person, which I think is really reasonable compared to the prices some places charge. 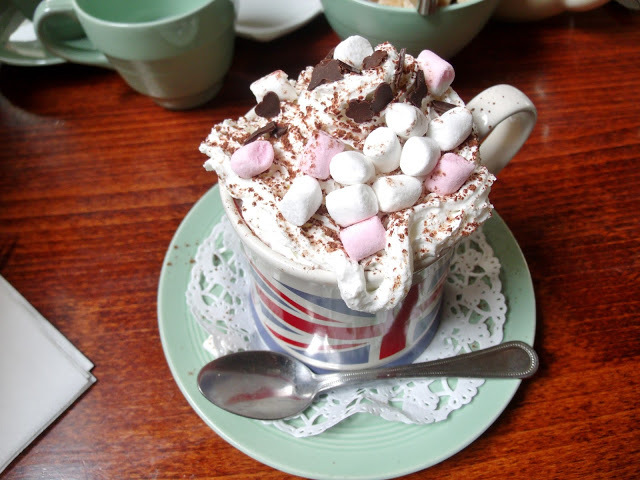 As I don’t drink tea, I was kindly offered an alternative and I selected a hot chocolate. 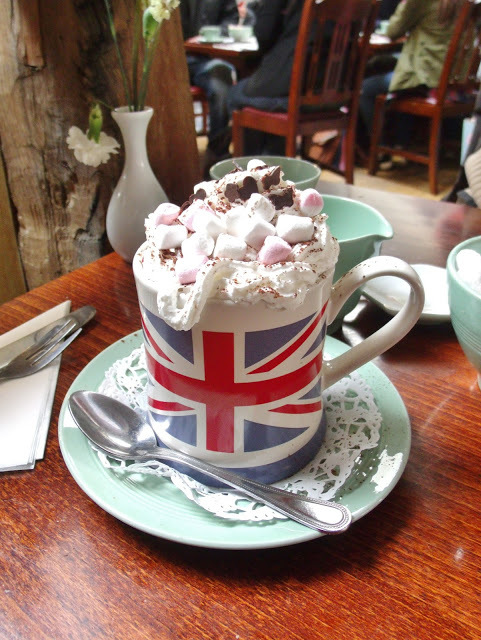 Imagine my delight when my drink was brought over in a huge Union Jack mug, topped with plenty of cream and marshmallows! Yum! Next up, we chose the roast ham sandwiches, and cheddar cheese and pickle on white bread. They were freshly made, without the crusts, and included a light garnish of salad. 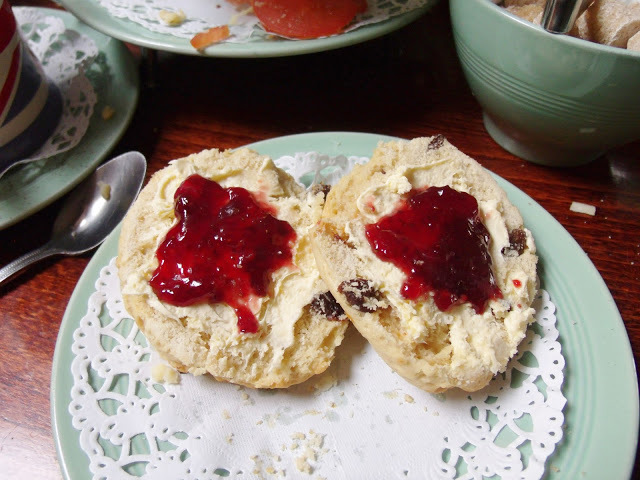 The cakes and scones are all baked on the premises from locally sourced fresh ingredients, and they were all delicious! 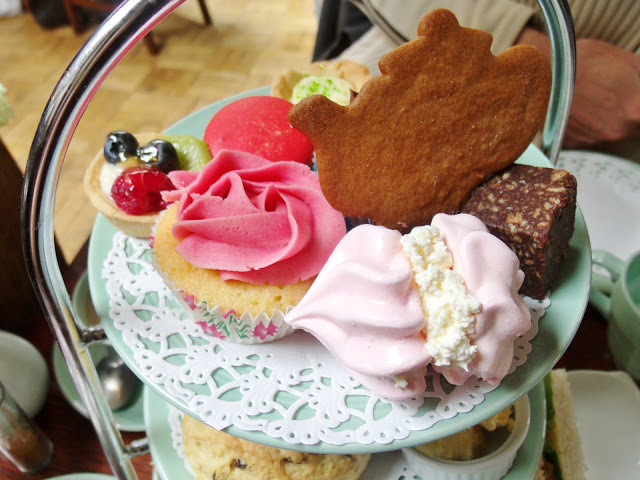 Our cake selection included a teapot shaped gingerbread biscuit, a super yummy pink meringue, a chunk of chocolate brownie, a macaroon, fairy cakes with buttercream, and a mini fruit and custard tart. So there was plenty to eat! 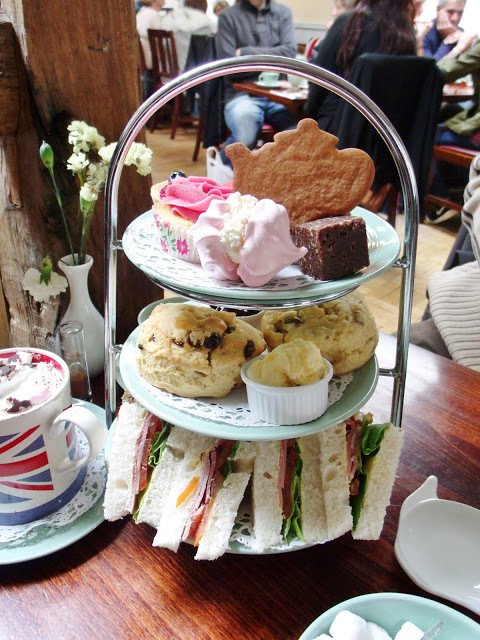 We really enjoyed our afternoon tea at Fourteas, and I would thoroughly recommend it for a special occasion, especially if it’s your birthday, as the waitresses all gather around you to sing! The food looks absolutely fabulous! This looks beautiful – and great value! 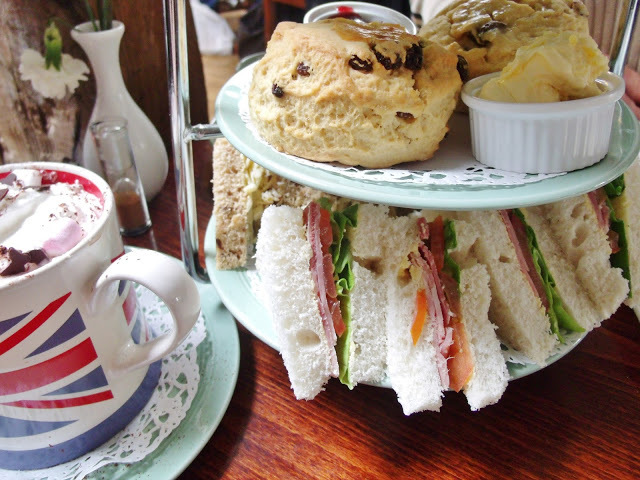 Looks delicious, I've never been for afternoon tea, I need to go this summer!